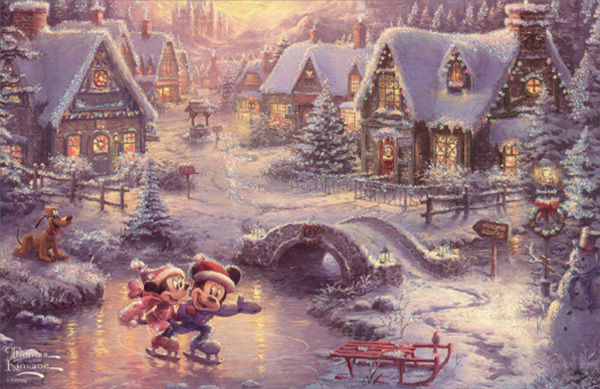 This truly magical Disney Christmas card design shows Mickey Mouse and Minnie Mouse ice skating on a frozen stream that winds through a stone bridge and around a wonderfully vintage looking village. Snow covered homes are decorated with strings of Christmas lights and wreaths while a castle can be seen in the distance. Pluto watches Mickey and Minnie from a snow covered bank. Featuring the beautiful artwork of Thomas Kinkade, this little masterpiece will delight the recipient with the wonderful detail and care that went into its creation. To add a bit of magic to the artwork there are small touches of glitter along the rooftops, snow covered path, fences, bridge and trees which adds a wonderful sparkle and gives the illusion of newly fallen snow. 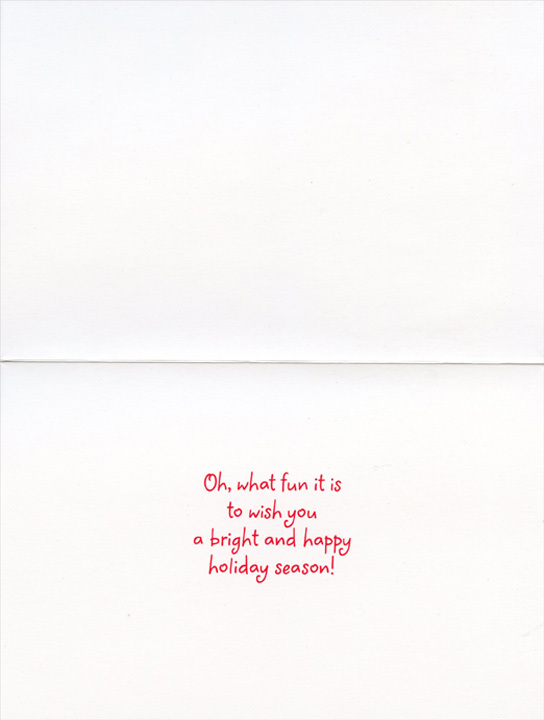 Inside: Oh, what fun it is to wish you a bright and happy holiday season!